Nikon F - "The Nikon"
When Nippon Kogaku launched their topmodel "SP" in 1957, sales of rangefinder cameras already was on a downward move in favor of modern single lens reflex cameras (SLR) like the new Pentax (sold for the triple price of its predecessor Asahiflex in USA). In contrast, prices of highly sophisticated Rangefinder cameras decreaed, even Leica. 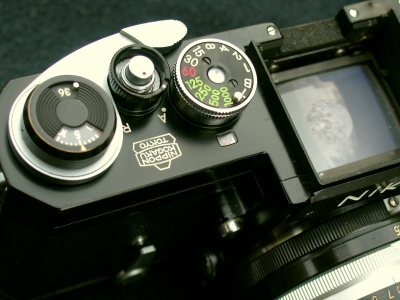 This caused Nippon Kogaku management to decide that the next top camera model should be an SLR model. Many parts of the SP model (i.e. the latest durable shutter made of titanium curtains, controls and levers) were to be shared with the SLR. 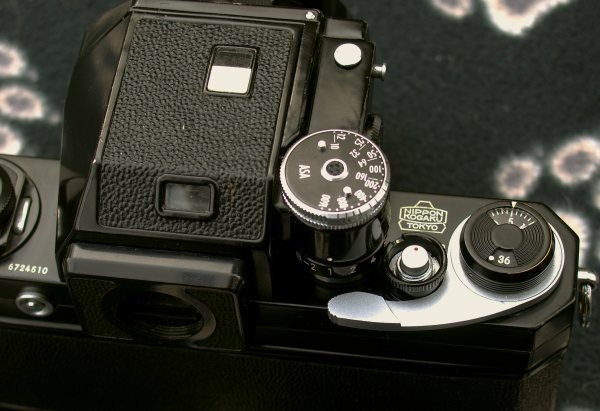 Between 1948 and 1957 the rangefinder models were among the gracefulliest of its class - in contrast the SLR model NIKON F was considerable larger sized than its major rivals - except German Zeiss-Ikon Contarex, also launched in 1959. 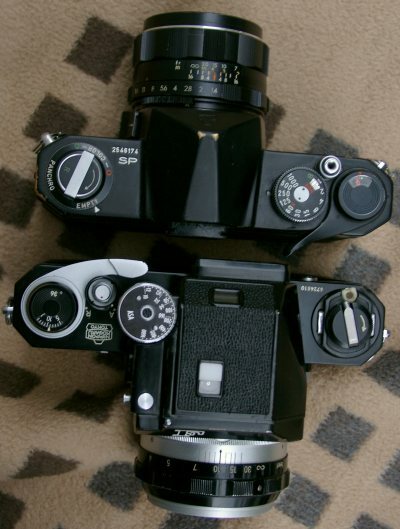 Like the venerable Exakta Varex, the NIKON F had changable finders. It started with a Non-meter-pentaprism and waist-level-finder. 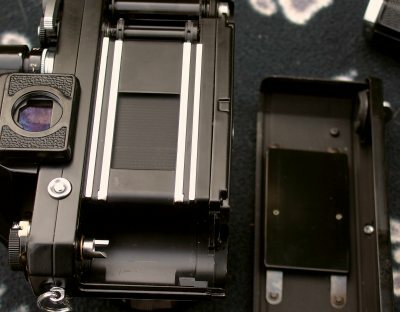 The first metered prism with a brand-new CdS-cell (no TTL yet) called Photomic-F followed 1960. Featuring instant return mirror, big 48mm lens opening bayonet mount including fully automatic diaphragm, 100% finder and a functional form the NIKON F then was the most versatile modern SLR on the market, although lens-changing with coupling the full-aperture-metering for the Non-AI lenses (until 1977) was an annoying and time-consuming procedure. Contrarywise to the EXAKTA and PENTAX the number of offered lenses and accessories was small at the very beginning, but in the preceeding decade NIKON had gained excellent reputation for their lenses, so expectations were high-level. 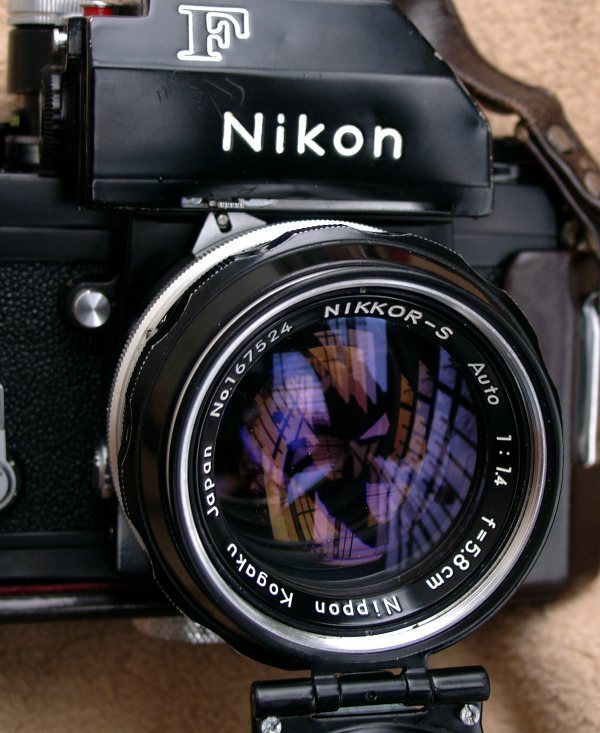 The NIKON F started with a five lens program: 4/21mm, 2.8/35mm, 2.0/50mm, 2.5/105mm, and 3.5/135mm. 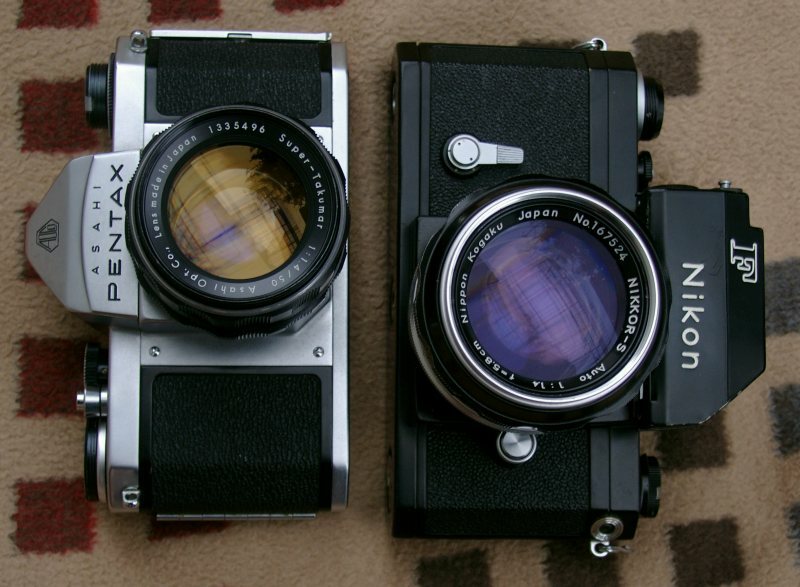 In addition some Rangefinder lenses could be used with adapters, then NIKON enhanced the lens programm each years with newly designed lenses of excellent quality. Within a few years there was a bigger accessory series as for the East-German EXAKTA and PRAKTINA SLR. 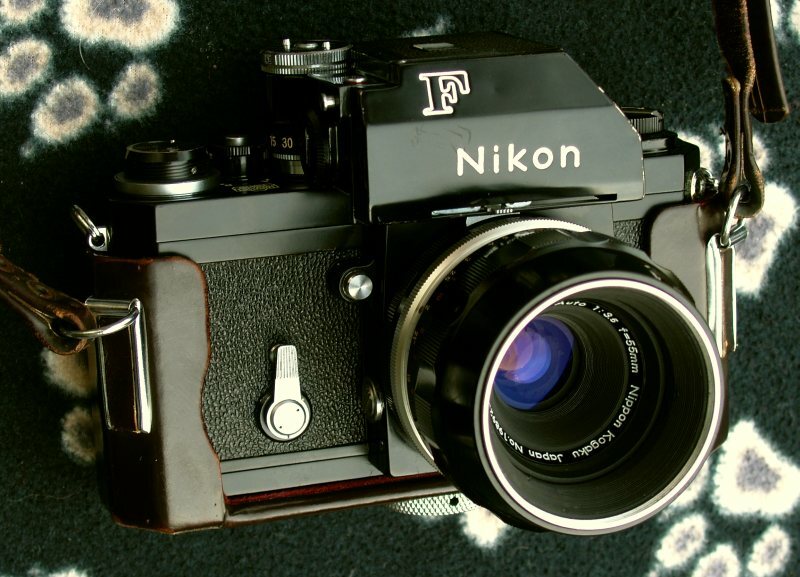 The original price tag of the NIKON-F body was 220 USD with 19.50 USD plus for black. Including a Photomic-F and a f/1.4 lens it was USD 436.50 list price 1962 (which converts to about 2,800 USD in 2006 prices), so it was among the most expensivst cameras. The price of the Nikon SP with the f/1.4 lens dropped from 415 USD (1959) to 375 USD in the beginning 1960's (sold until 1964) - the same level as the main rival Pentax Spotmatic SLR including 1.4/50mm lens. 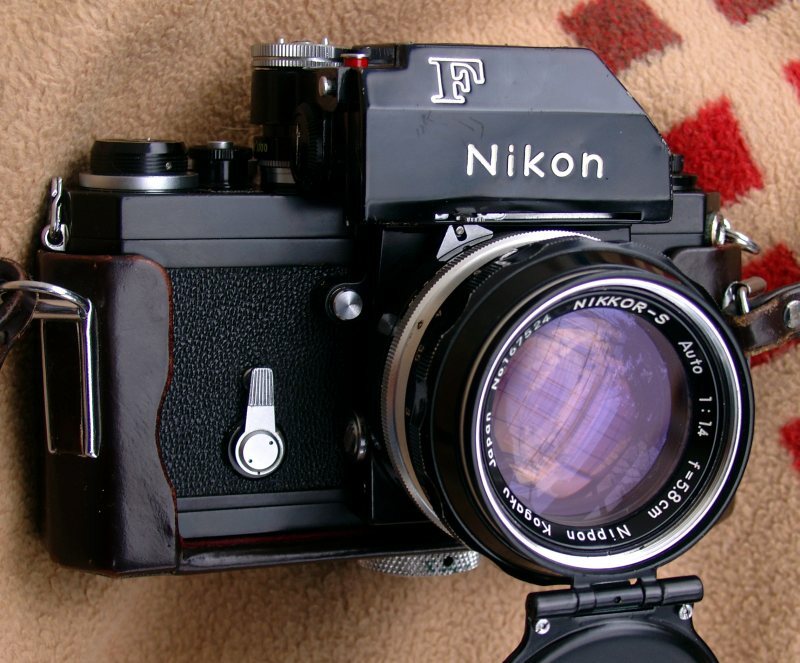 With the "Noct" f/1.1 lens the Nikon SP was sold for 544 USD. In these years there were no "street prices", grey market offers or considerable discounts (except for US Army service personel). NIKON had a Sonnar-based "f/1.4 lens" for the rangefinder cameras since 1949 which had an excellent reputation by professional photographers - most say, better than the Zeiss Sonnar. Between 1964-1968 PENTAX sales still run better than NIKONs, even with professional photographers. Two excellent camera choices in 1965: The SPOTMATIC offering TTL-metering as the first camera at the market and weighting low 850g with the newly designed compact (8-element, first-gen.) 1.4/50mm lens. 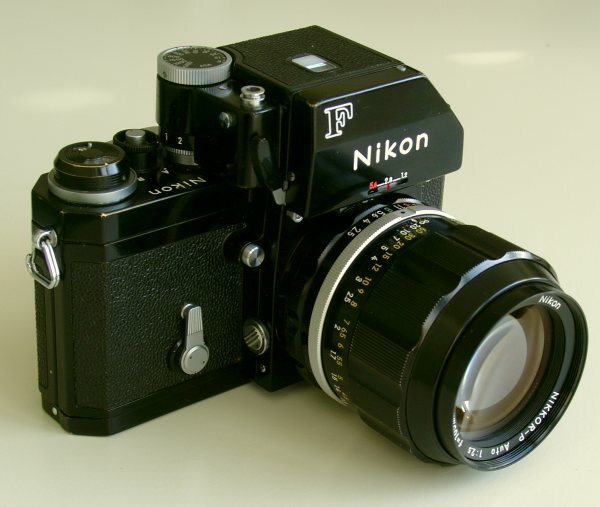 The NIKON F with Photomic FTN and 1.4/5.8cm (7 elements) weights heavy 1150g. 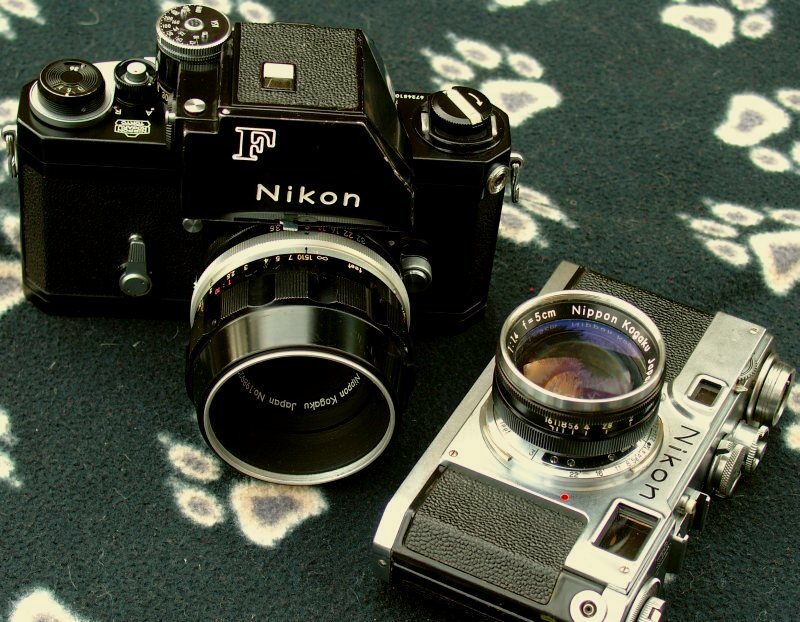 Their improved center-weight metering (Photomic Tn/ 1967, Photomic FTN/ 1968), roughness and durability even in Vietnam war (official army camera) made NIKON F's name. Towards the end of the 1960's decade Pentax lost market share due to hanging on their M42 lens-mount and stop-down-metering. 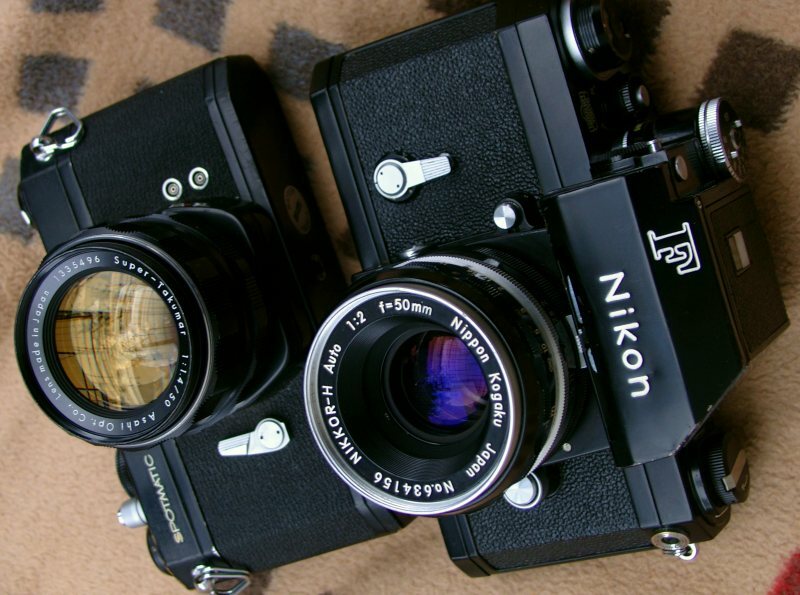 3/4 of all Nikon F's were build between 1968 and the end of production, 1971. In total, nearly 1 million NIKON F's were build.